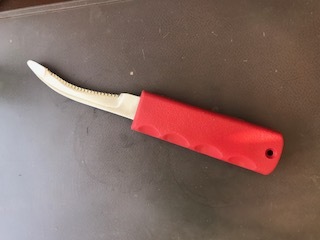 A heavy duty, moulded version of the BigFish safety knife design. 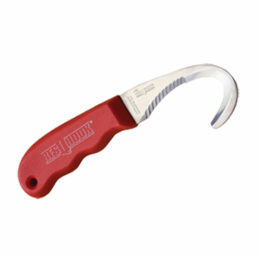 The 9mm wide mouth allows thicker materials and even 12mm diameter ropes to be cut safely. 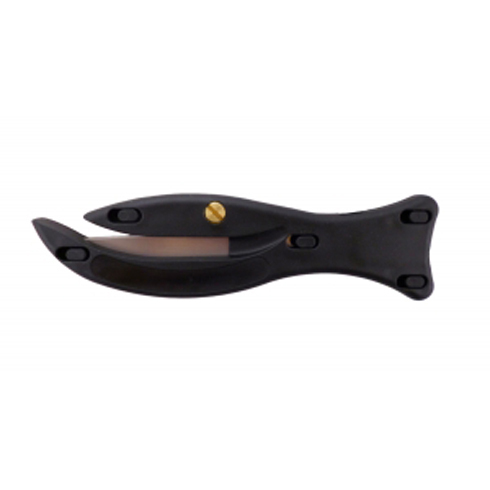 Blades can be easily changed. 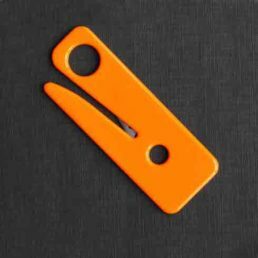 Available to special order with a retractable hook blade, which can be set to an auto or manual retraction. 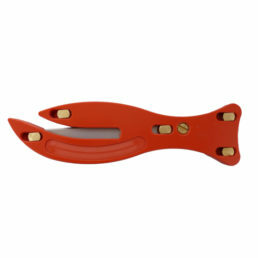 A heavy duty, moulded version of the Big Fish safety knife design. It is exactly the same size as the original Big Fish and shares the same blades – the only difference is the new production method. 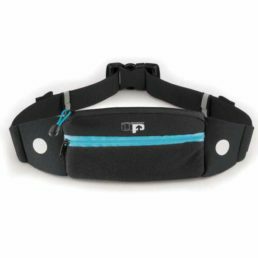 Black stocked and yellow available to special order.